Herald Motor Company specialises in head turning motorcycles. 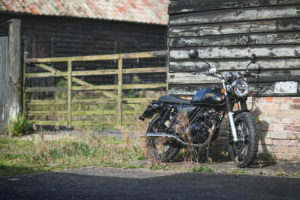 Herald Motor Company is a motorcycle brand, specialising in head-turning, vintage themed, easily affordable motorcycles. Over the last few years, Herald has grown into a cult brand with big ambitions. The driving force behind our success has been staying true to our brand ethos of attitude, integrity and authenticity and we continue to live by these three words. Herald Motor Company thrives on delivering quality, head-turning and affordable motorcycles that caters to those that want an iconic and classic looking motorcycle. We source our motorcycles from the Far East and improve some key components at our Cambridgeshire headquarters; our dedicated bike technicians refine each bike to give them an eye-catching, custom styled look before they are sold via our network of dealerships. This ensures you have a quality product, that is not only fun to ride but easy to maintain. Our prices might reflect an affordable motorcycle but our quality and build are never compromised. Our range appeals to male and female riders alike, whilst accounting for various ages and levels of experience. 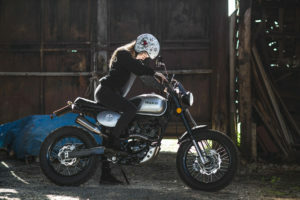 We are big fans of the custom motorcycle scene and draw inspiration from a host of different motorcycle styles and past eras to offer a range of motorcycles that stand out from the crowd. Our audience reaches the new and experienced riders, young and old, looking for an affordable motorcycle but still maintaining that quality and unique style. We continue to push and challenge ourselves to bring you motorcycles that people will love and our ambitions are large with aims of looking at building our own first British built motorcycle, designed and assembled here In the UK. Our 2018 range includes our popular model, the Herald Maverick 125cc, along with our new Euro 4 compliant range, the Classic, Cafe and Scrambler 125cc models and soon, our long-awaited 400cc motorcycle.